Through the layering act of dress, the body is used as a platform for reinvention, a transposition, the body slowly concealed through disparate materials while gradually revealing an Other. Reanimating popular iconography and myth, the work explores photography’s potential as a prolonged and highly plastic performance, a pliable fabrication, narratives enacted then sealed tight in the image world. Manicured bodies are reconciled in to constructions of space; hyper real sites that serve as digital habitats for the material body and experiment with the possibilities and potentials of the contrived photographic image. 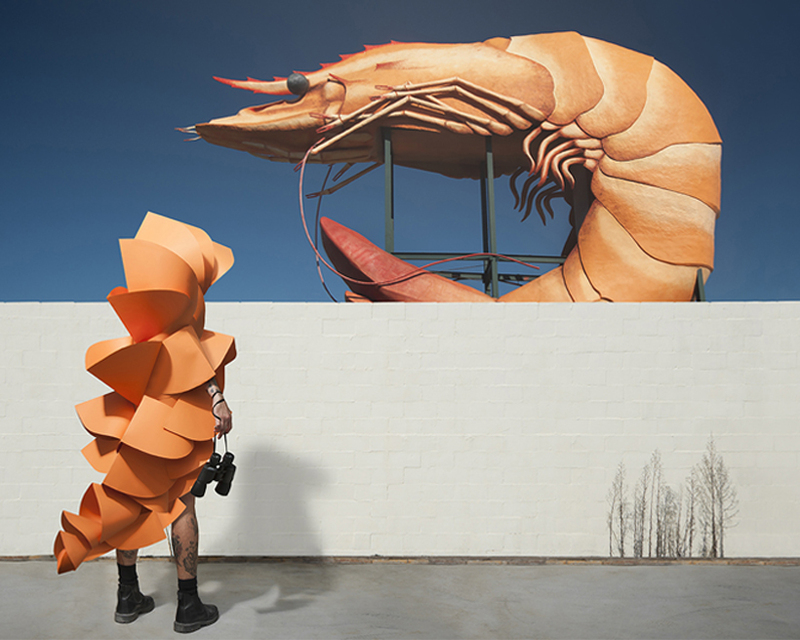 Gerwyn Davies is a photographic artist and costume maker currently based in Sydney, Australia where is undertaking his PhD at the intersection of photography, performance and post-production at the University of New South Wales (Art and Design). Gerwyn completed his undergraduate studies at the Queensland College of Art and has been a member of academic staff at both Griffith University and UNSW teaching across photomedia. Davies’ work has been featured and published in the British Journal of Photography, Sturgeon Magazine, Plastik Magazine, Art Guide Australia and Carnival. Gerwyn Davies is represented by Jan Murphy Gallery Protégé in Brisbane Australia.